Build with all the technologies and driving characteristics of the all-new 2016 Cruze sedan, the hatchback version is set to be a functional and sporty alternative for future Chevrolet customers. 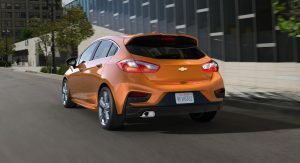 Just like the sedan, the Cruze hatchback comes with a class-leading 106.3 inch (2,700 mm) wheelbase, but also a unique roof and rear-end design, which includes wraparound taillights and an integrated spoiler. 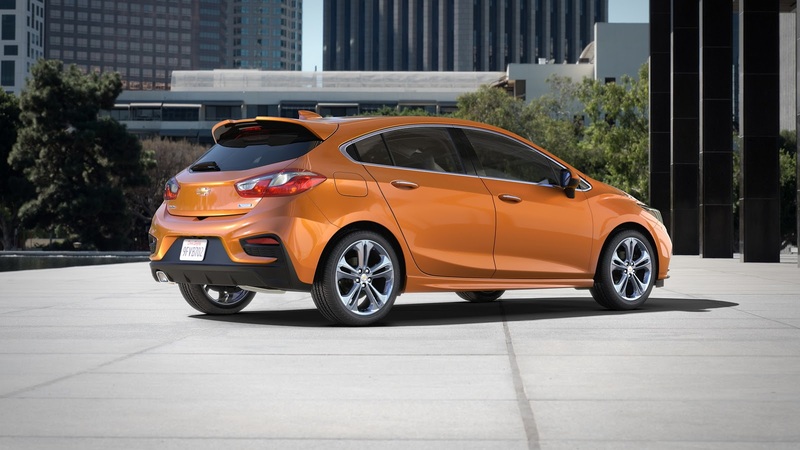 Design-wise, it’s definitely a massive improvement over what we came to know as the 5-door Cruze. 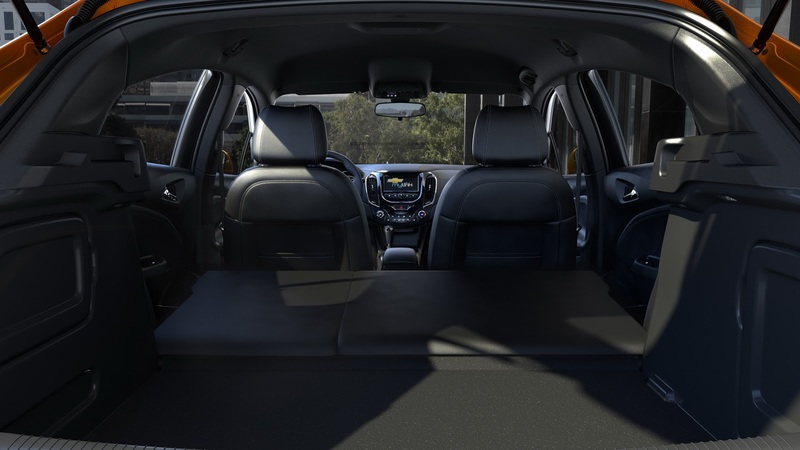 Chevrolet didn’t skimp on the practicality either, as the Cruze hatch features 524 liters (18.5 cu ft) of cargo space behind the rear seats, which can become 1,189 liters (42 cu ft) with those very same seats folded. 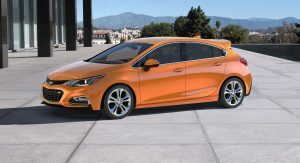 On the road, the new Cruze hatch is 91 kg (200 lbs) lighter than the previous generation model, thanks mainly to an all-new, more rigid and lighter architecture – 100 lbs lighter to be exact, whereas the 1.4-liter turbocharged engine itself is also 20 kg (44 lbs) lighter and comes with Stop/Start tech. 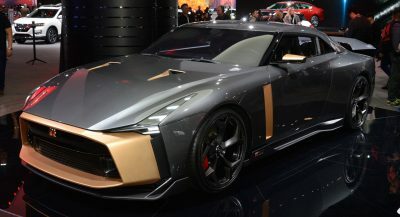 While these numbers aren’t mind-blowing, they will have meaning to customers who are new to Chevrolet as well as to returning customers. In the US, the Cruze is the segment’s second-best selling model to people under 25, and 35% of those customers are actually new to the Chevrolet brand. 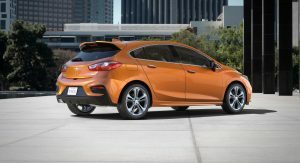 Spec-wise, the 2017 Cruze hatch will be offered in LT and Premier trims, as well as with a more expressive RS package which brings unique front & rear fascias, rocker panels, rear spoiler, fog lamps and 18″ wheels to the table. 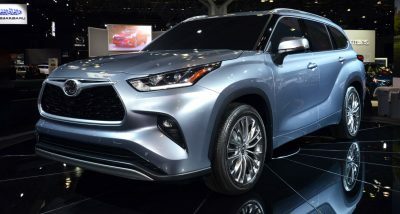 Other key features include Apple CarPlay and Android Auto compatibility via the MyLink system (available 4G LTE with Wi-Fi hotspot), Lane Keep Assist, Rear Cross Traffic Alerg, Side Blind Zone Alert and Rear Park Assist. 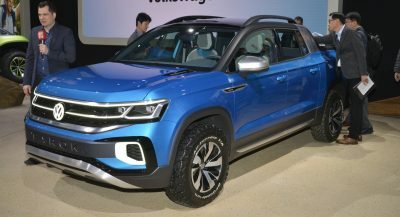 Chevrolet also pointed out how neither the Corolla nor the Civic feature these types of safety systems, and that inside the cabin there is more rear legroom then you get in the Ford Focus and Hyundai Elantra. 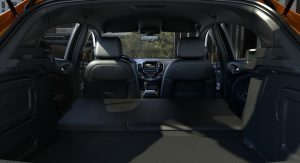 Sticking with the cabin, the Cruze hatch can be configured with a heated steering wheel, heated front and rear seats, Athens leather-appointed seating surfaces and true French seams. Stepping outside, you’ll find halogen projector-beam headlamps with LED signature lighting. 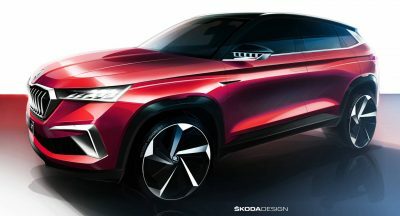 On the road behavior will be dictated by the electric power steering and on Premier models, a Z-link rear suspension as well, which is good considering how there are plenty of models in this segment which offer reasonably sporty drives. 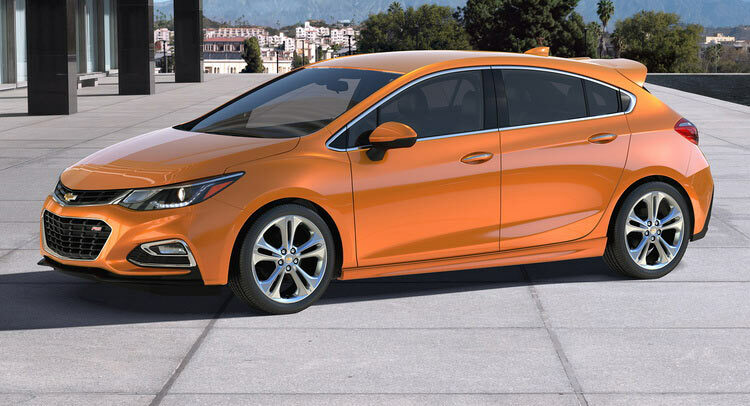 The 2017 Chevrolet Cruze hatchback will go on sale in the fall of 2016.